Professional circus artist and trainer, with over 25 years of experience in Flying Trapeze, Aerials, Juggling and Contortion. Professional circus artist and trainer with 25 years experience in Flying Trapeze, Tumbling, Aerial Straps and more. Silks Trainer. 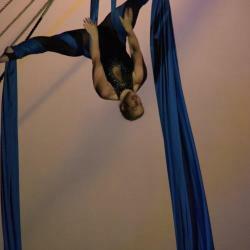 Jodi is a multi-skilled circus aerialist and trainer. She teaches kids, adults and performance classes at Flip N Fly. Silks and Flexibility Trainer. Lana recently joined the team and is teaching Silks, Contortion and Kids classes. Melissa started training at Flip n Fly in 2016. 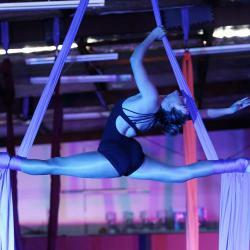 Focused in Lyra, Trapeze and mixed aerials, she has been teaching the kids classes.